Buy 10+ for £18.95 each. The SWE6 is a multifunction I/O module based around the BAE0910 IC from Brain4Home. 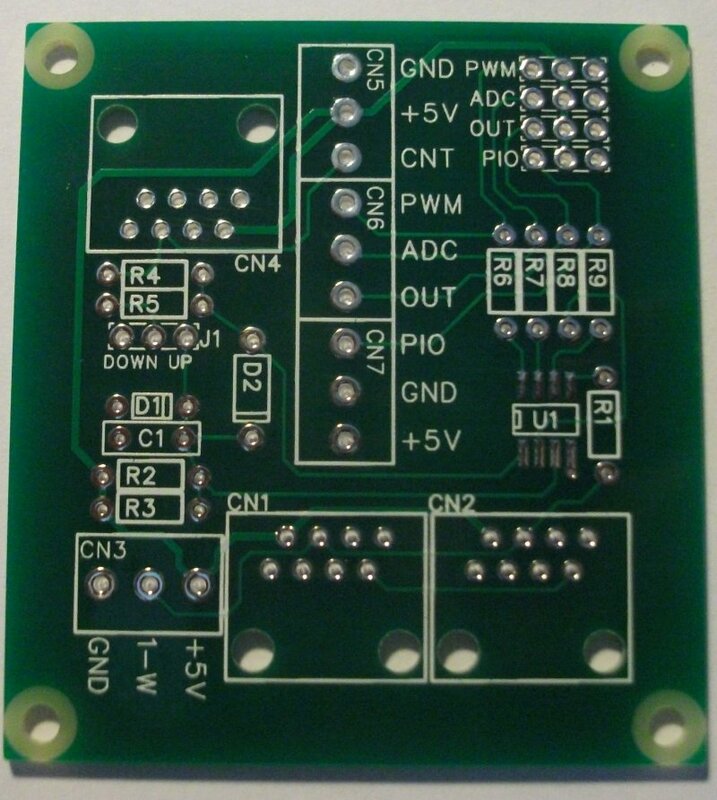 It has 5 I/O pins which are a counter, a PWM output, an ADC input, a digital output and a digital input/output. 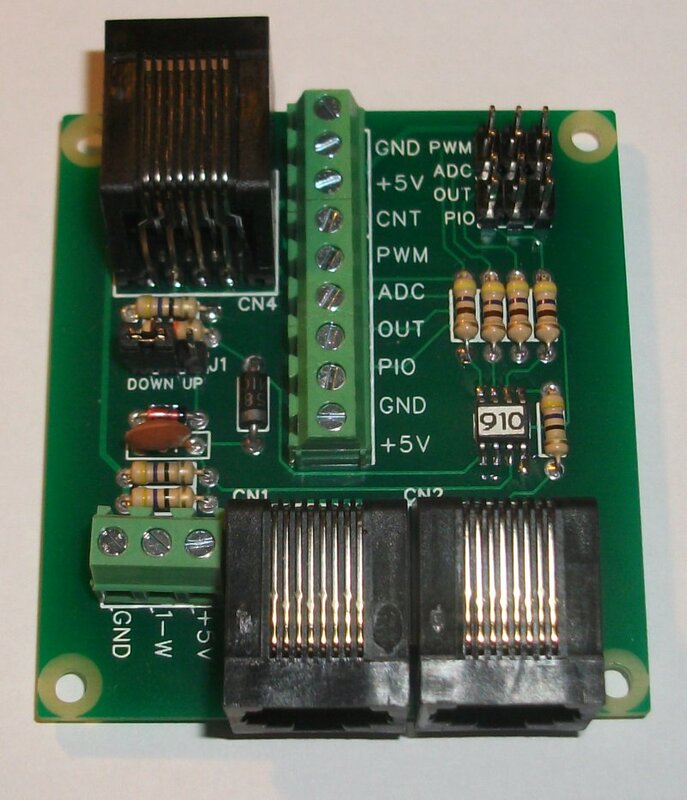 The ADC, output and I/O pins can also be configured as further PWM outputs allowing the module to control up to four R/C type servos. 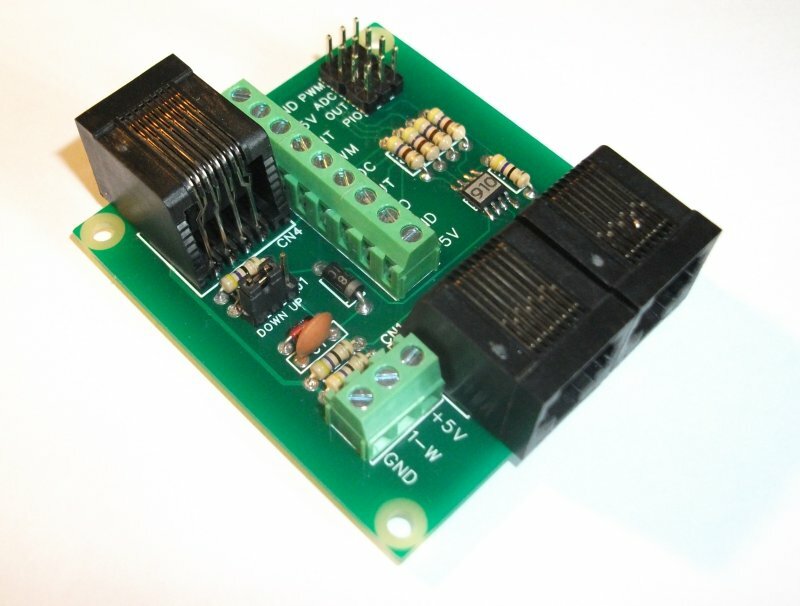 The module allows you to connect to the I/O pins via either screw terminals, pin headers (ideal for R/C servos) or an RJ45 socket.